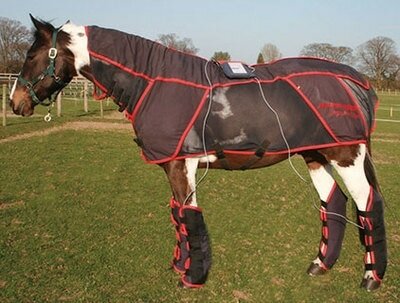 Activo-Med Products - Cottage Farm Inc.
​​The Combi-Pro's I & 2 are the Rolls Royce of the Activo-Med blankets. 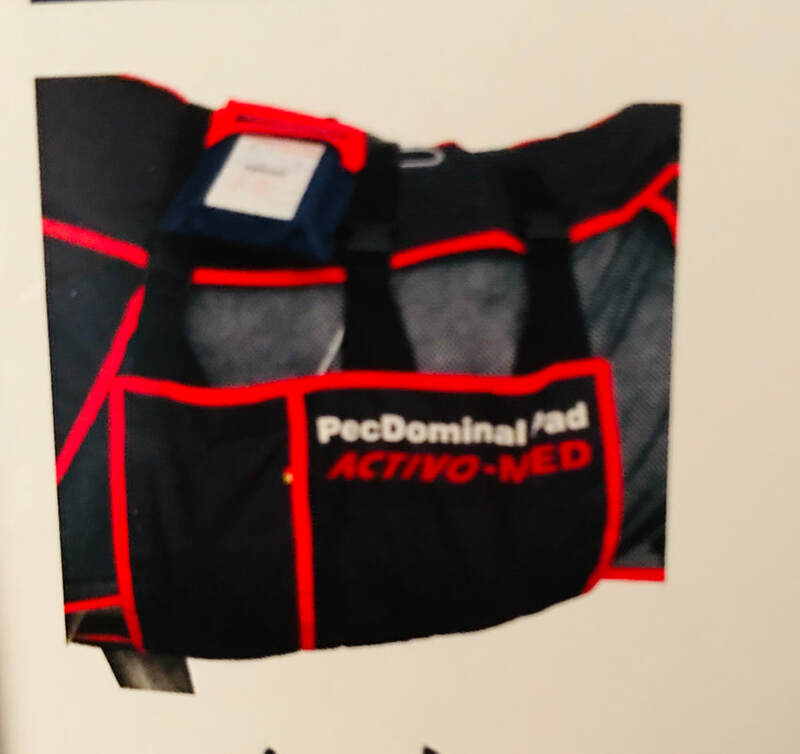 This System was specially designed for an even more intensive treatment than was previously possible with our Classic Combined System. 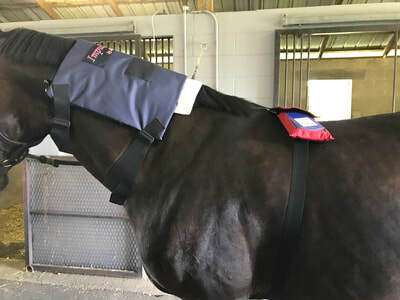 ​The system is configured with additional pulsed magnetic & massage modules at shoulder and stifles, which puts even more emphasis on treating the whole body. As a modular system you can add several components later on, which can all be operated through our professional central control box. ​Expensive individual systems have become obsolete. Battery lasts 15-20 treatments before recharging is required. 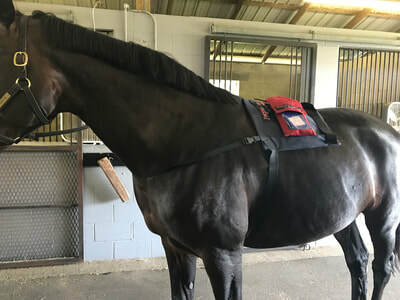 Extra space available on control box to program your own treatments for specific horses. RENTAL OPTIONS - 7 -30 day rental fee can be applied towards purchase. Ex Demos and 2nd hand available. Please check Store Page . Warranty on used items dependent on age and condition of blanket. 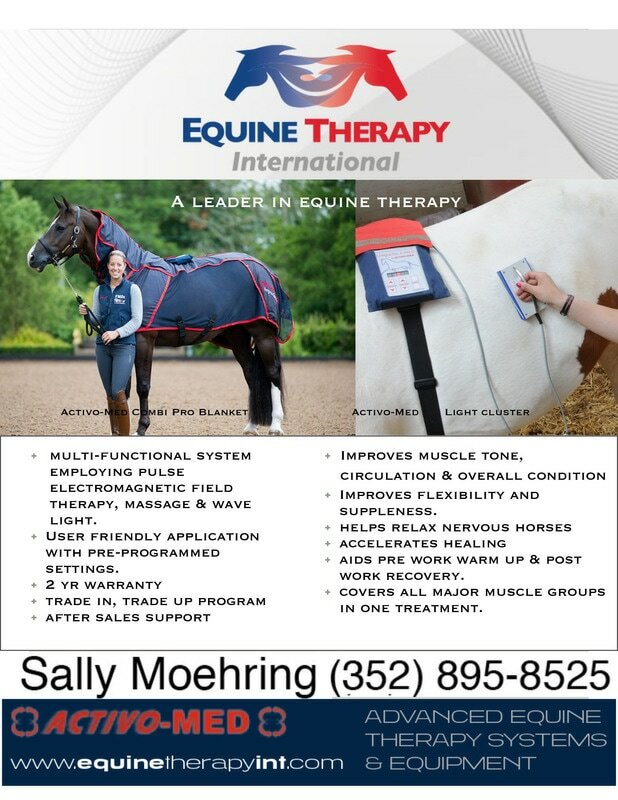 ​Activo-Med Wave Light Pulse Therapy Combine Pulsed Electromagnetic And Light Cluster/Pen now with optional massageCan be used for muscular, tendon and ligament injuries, bumps, bruises, edemas, cuts, wounds, arthritis, fractures and splints. 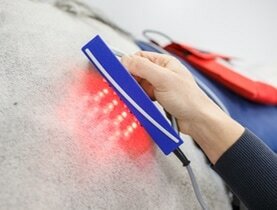 ​Wave-Light-Pulse (WLP) represents a quantum leap in direct local therapy; conventional laser technology in the shade. Price and performance are superior. The Pulsed Electromagnetic and Light cluster is a powerful combination of 24 infrared and 24 red diodes together with in built Pulsed Electromagnetic spool. It is fully adjustable by intensity and frequency and is based on the latest supralight LED (Light Emitting Diode) technology. It is also available with a massage element within the cluster. 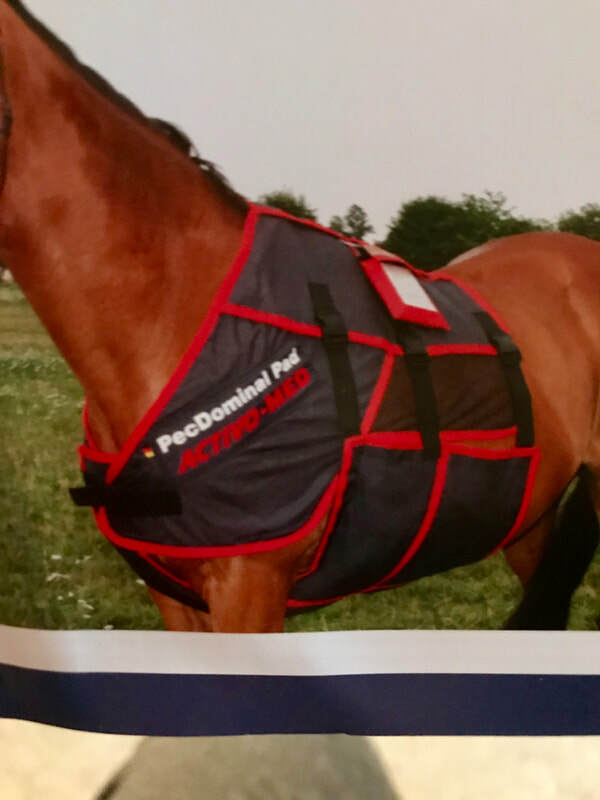 These clusters and pens run off the same control boxes as the Activo-Med rugs and leg wraps. Which comes with pre set settings and programs that can be changed if required to suit your horses needs. The programmable control box offers a large range of options to create individual therapy programs. ​The therapy time, frequency and PEMF intensity, massage intensity and massage sequencing length can be easily changed. 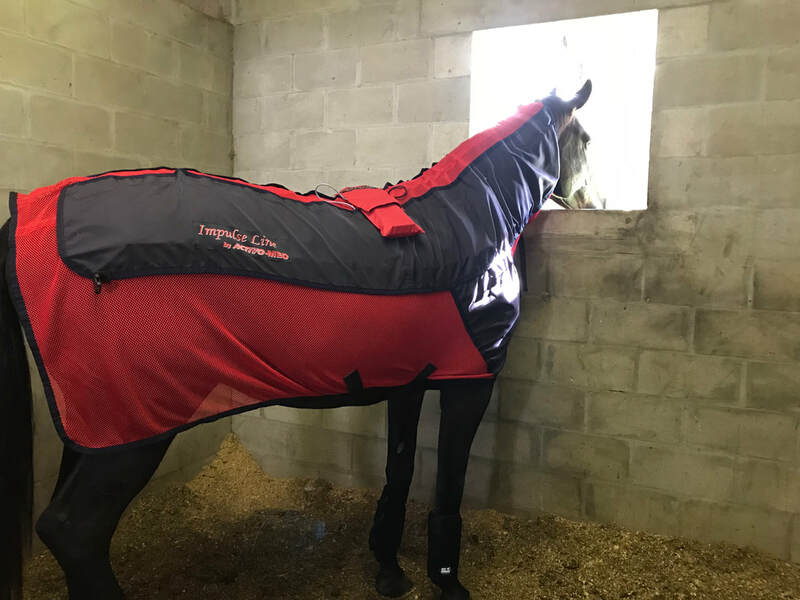 FAQ's if you already own a blanket . Need more information? Please fill in the contact form below .